Those pesky Gasparilla pirates are invading City Hall to steal the key to the city from Mayor Buckhorn. 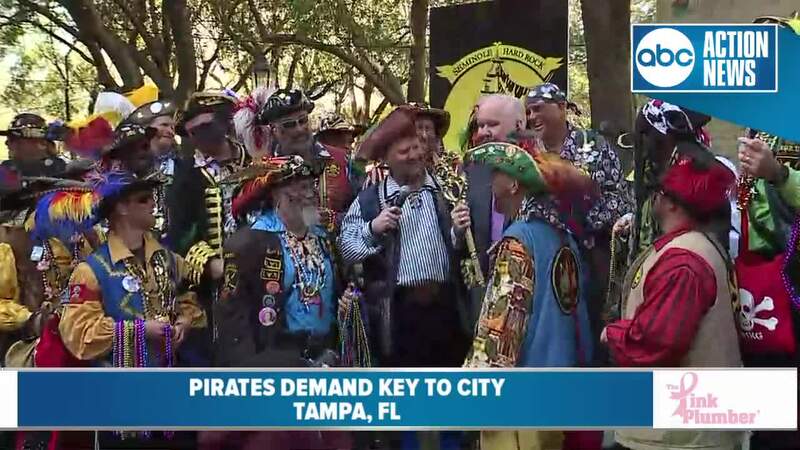 TAMPA, Fla. — The Ye Mystic Krewe of Gasparilla invaded Tampa on Tuesday to demand the key to the city from Mayor Bob Buckhorn days ahead of the Gasparilla Pirate Festival. This marked the eighth and final time Mayor Buckhorn was taken hostage by the Gasparilla pirates. Next year, a new Mayor will have the honor of arguing with the pirates and defending the City of Tampa.